Alter The Press! 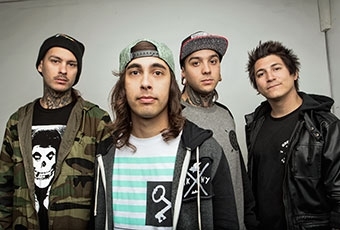 : Pierce The Veil Release New Single "The Divine Zero"
Pierce The Veil Release New Single "The Divine Zero"
Pierce The Veil have released a brand new single titled "The Divine Zero," that can be streamed below. "The Divine Zero" is the first song Pierce The Veil has released since the success of the band's 2012 release, Collide With The Sky, that sold nearly 300,000 copies. The album features the single "King For A Day" (Feat. Kellin Quinn) which has been certified Gold and has racked up an astounding 50 million YouTube views.